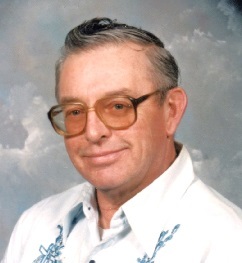 Ellsworth — Robert C. Reed (Bob), 79, died at a Bangor hospital February 19, 2019 after several strokes and a heart complication. He was born in Dover Fox-Croft on March 26, 1939 the son of Jasper Reed and Maxine (White) Reed. Bob graduated from Foxcroft Academy in 1957. He joined the Air National Guard as a Reservist during and after high school and worked at Dow Field in Bangor as a radar calibrator. He was called to active duty during the Cuban Crisis. Bob moved to Ellsworth after high school in 1957, and worked at several part time jobs including the A&P store, WDEA radio, the Woolen Mill, and the Tannery in Hancock. He settled into his career employment with the MDOT as a truck driver/laborer, also a member of the MSEA. He retired after 25 years. He married Ida Grindle in 1962 and had two children, Melody and Glenn. They divorced after 30 years. Bob married Carolyn (Lincoln) Moulton and has been married for 20 years. Bob liked to hunt and fish and spend quiet time reading. He spent his retirement with family and did some traveling. He liked to do wood working in his shop with all his many tools. In his younger years he liked to bowl and play cards (83, cribbage). He had a very special companion, his dog Shayla. He liked to share his chocolate chip cookies with her and take naps in his recliner with her on his lap. Bob is survived by his wife Carolyn (Lincoln) Reed, daughter, Melody Reed and significant other John Morse Trenton; son, Glenn Reed and wife Kayloe and grandson Codee Lee, Ellsworth; two step sons, Sterling Moulton and wife Jean and grandchildren, Helen, Allison, and Melissa of Kentucky and John Moulton and wife Sarah and grandchildren Zoe and Noah of Waterville; daughter-in-law, Lisa Burton and grandchildren Heather, Mandy, and Robbie of Tennessee; brother, Winston Reed. He was predeceased by his parents and a step son Robert Burton. Special thanks to the care givers and individuals that helped at home with care and support. Arrangements were made by Acadia Burial and Cremation Direct, 248 State Street, Ellsworth.